Starting Sunday, November 11th, you can get a great discount on grocery purchases made at Target. 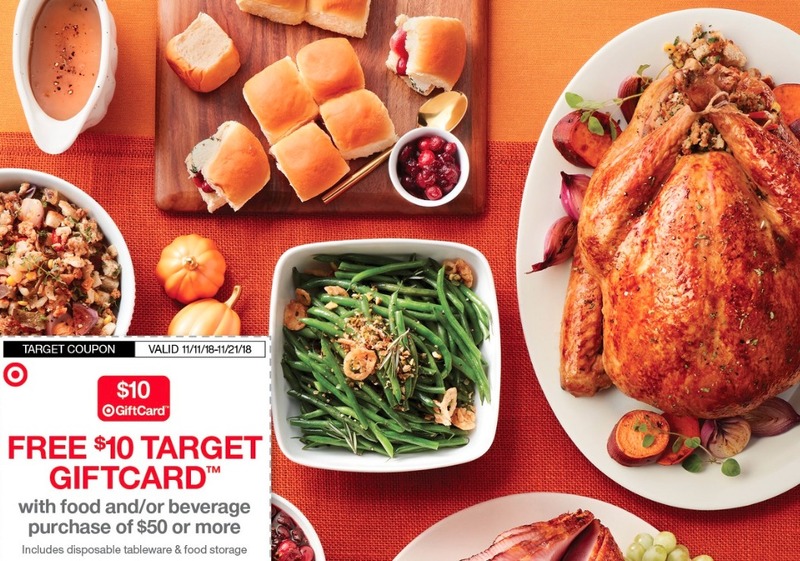 There will be in an in-ad coupon for a $10 Target gift card back when you buy $50 in groceries! When the coupon is scanned it will automatically trigger a gift card when you have $50 in grocery items before any cartwheel offers and coupons!! It also includes disposable tableware and food storage! There is some fine print: Limit one coupon per guest, excludes baby food, pet food and cafe items.